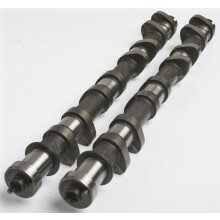 This Kelford Cams range of camshafts suits the non-variable generation 4 Toyota 3S-GTE engines as found in the 1997 Caldina. These engines have full sequential ignition with a coil on plug setup as well as individual port injection. 262/262 Degrees advertised duration. 10.50mm/10.00mm lift.